A life-changing injury alters more than just your physical being: it affects every aspect of your life, and the lives of those you love. People who have suffered a life-changing injury, or the death of a loved one, have legal options to hold the negligent party accountable for those injuries. But you cannot do it alone. 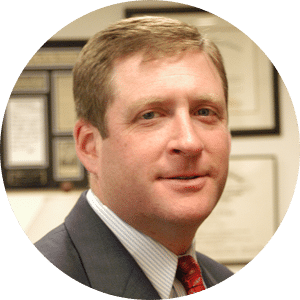 Eichen Crutchlow Zaslow, LLP is a team of trusted personal injury and medical malpractice attorneys who have handled some of the most complex civil litigation matters in New Jersey. When you are hurt, we are there. We believe that when you want to be the best, you need to put in the work. That is why we have devoted ourselves to representing plaintiffs, and only plaintiffs, in our practice – never the insurance companies. Each of our partners has decades of experience, honing his skills in county, state, and federal courts throughout the state. We take what we do, and who we do it for, seriously. Your initial consultation is free, and we answer all calls within 24 hours. We invite you to learn more about that team here. Most important, however, is that we know you hired us to work with you. While we have a fully-trained and qualified staff who can help you at any time, and a team of injury lawyers who may consult on your case, the attorney you hired works directly with you at every step. When you go to trial, your lawyer is there. When it’s time to negotiate, your lawyer is there. When you have to make a court appearance for any reason, your lawyer is there. We have genuine concern and compassion for our clients. Every case and every client are different, and therefore each case requires a unique perspective and strategy. 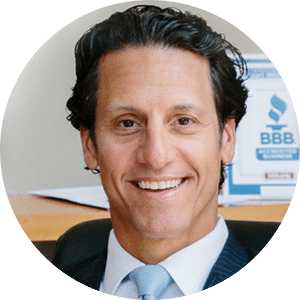 Despite our reputation and track record of achieving many of the largest recoveries in the state, you won’t have to worry about our firm being too big to provide personalized service. Eichen Crutchlow Zaslow, LLP has purposely remained small in size, because it is important to us that we get to know our clients and their needs. Larger NJ injury firms may churn out case after case, but that’s not how we operate. 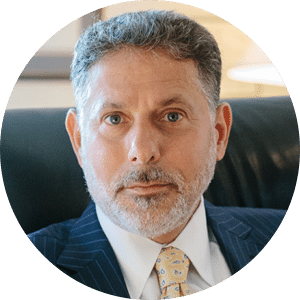 Partners Barry Eichen, William Crutchlow, and Daryl Zaslow have created a firm with the resources to handle complex litigation, and a team that takes your case personally. We start every case with a thorough case evaluation and investigation. We are successful because we thoroughly review each case before filing a lawsuit, and pay attention to the details that make a difference in litigation. We do not take shortcuts. To successfully obtain a maximum settlement or jury verdict in a complex personal injury or medical malpractice claim, we work with leading independent expert witnesses for investigation, depositions, and trial testimony. Our name and reputation precede us into settlement negotiations and into court, when trial becomes necessary. Applying intelligent strategies, legal skills, and in-depth knowledge of New Jersey personal injury and medical malpractice case law, our trial attorneys have obtained hundreds of millions of dollars in settlements and verdicts on behalf of individuals and families harmed by negligence. We maintain three office locations, conveniently located in Edison, Red Bank, and Toms River, and we represent clients throughout New Jersey. Our office hours are generally 8:30 a.m. to 5:30 p.m. on weekdays, and we will make after-hours office, home, or hospital visits by special arrangement. Our Edison office is located at 40 Ethel Road, in between New Brooklyn Road and Talmadge Road. Our Toms River office is located at 563 Lakehurst Road, right down the road from the Parkway and Community Medical Center. Our Red Bank office is located at 63 Riverside Ave, across the street and in between the Atrium and the Molly Pitcher Inn. You can reach any of our offices by 732-384-1331. Living with a catastrophic injury is a challenge; choosing the right attorney to protect your rights shouldn’t be. At Eichen Crutchlow Zaslow, LLP, you work with a lawyer who knows your name and your needs from start to finish. To schedule a consultation at one of our offices in Edison, Red Bank, or Toms River, or for help anywhere in New Jersey, please call 732-384-1331, or fill out our contact form.